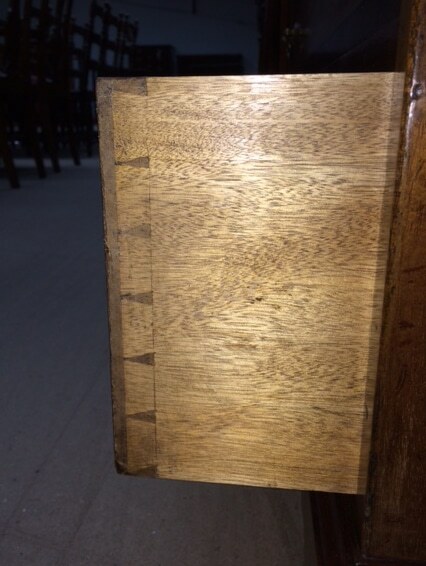 What is a Dovetail Joint on Antique Furniture? 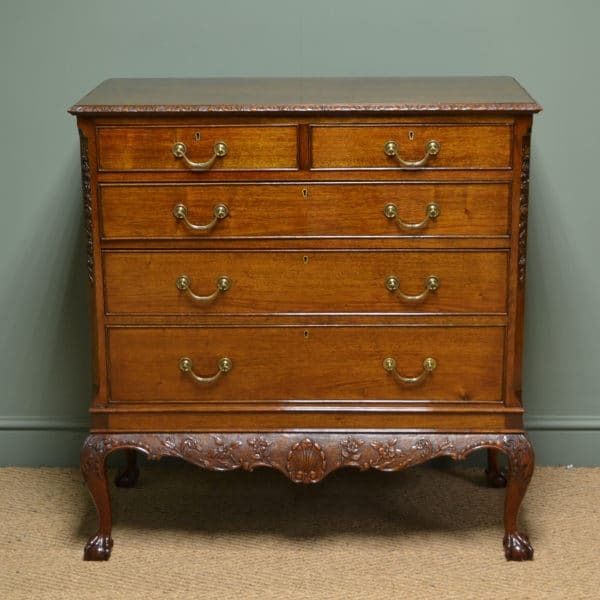 Most quality pieces of antique furniture will have a dovetail joint in the drawer construction as it was a very early form of construction, but was so successful, it was used for many 100s of years. The Dovetail joint, got its name because of its similarity to the shape of a birds tail. 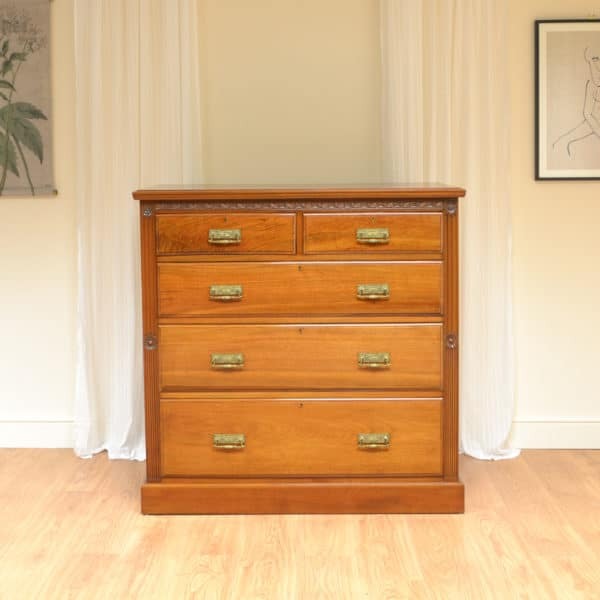 The Dovetail joint is a highly skilled bit of cabinet making and is extremely strong and interlocks securely to connect two pieces of wood, usually drawer fronts and sides, or corners on chest carcasses. Originally they were done by hand, cut using a small saw and chisel, stuck using animal glue. This method can be seen as far back as the Egyptian times found on the furniture entombed with mummies, in pyramids and in furniture built for Chinese emperors. 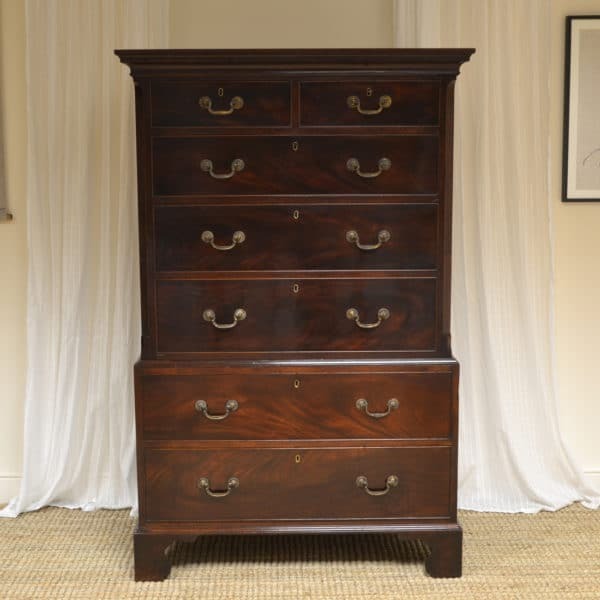 The English cabinet maker first started using the dovetail joint in the mid 17th Century on walnut furniture and carried on doing this by hand until the late 19th century when they were produced by machines, mainly in the Edwardian periods. This was used in all woods from country pine and Oak to more fine Mahogany and Walnut timbers. 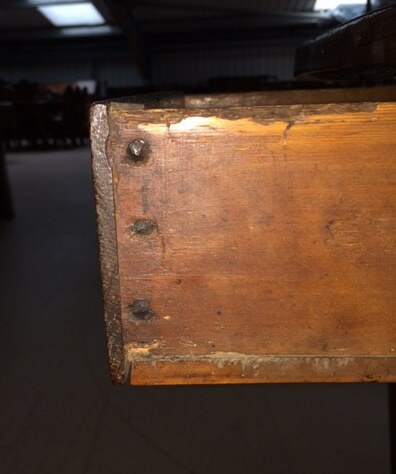 You can get an idea of the date of a piece of antique furniture by looking at the dovetail joint, as if it is hand cut you know its pre 1880 and the more primitive the cut usually means an earlier piece. Below you can see examples, the first is a 17th century drawer, pre dovetail so very primitive clout nails used. 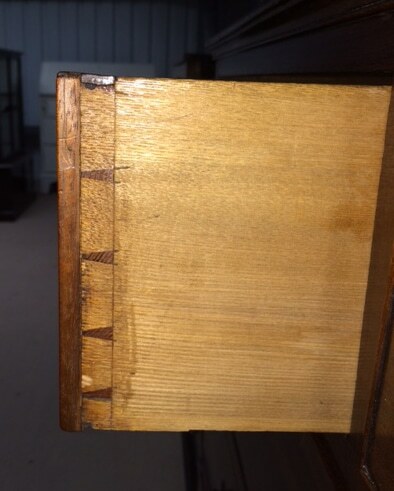 Next is a Georgian drawer with hand cut dovetail and you can see irregularities in the cut and shapes. next is an Edwardian dovetail, machine cut, more neat and even in shape.